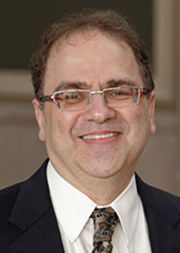 Narayana Kocherlakota, Lionel W. McKenzie Professor of Economics, received a PhD in economics from The University of Chicago in 1987, under the guidance of Lars Peter Hansen and Jose Scheinkman (Rochester PhD and Lionel McKenzie student). Since that time, he has held academic appointments at a number of institutions, including Stanford University, Northwestern University, The University of Iowa, and the University of Minnesota. He was the President and CEO of the Federal Reserve Bank of Minneapolis from 2009-2015. As part of his responsibilities in that position, he served on the Federal Open Market Committee (FOMC), the monetary policymaking arm of the Federal Reserve System. His past research includes theoretical and empirical contributions to many fields in economics, including the economics of money and payments, business cycles, financial economics, public finance, and dynamic games/contracts. His current research is on monetary policy. As a member of the FOMC, he spoke and wrote about a number of aspects of economic policy. As a professor, he intends to continue to write about economic policy. Additionally he holds a joint appointment in the Simon Business School.